Mental Health Ireland in a few lines? Mental Health Ireland is a registered charity in Ireland for the past 50 years (CHY 5594). 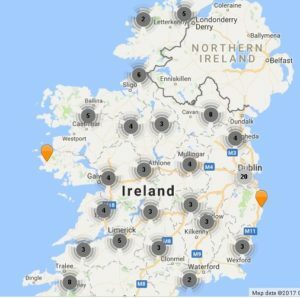 We have our Head Office in Glasthule, Co Dublin and we have 84 Mental Health Associations in communities all over Ireland. 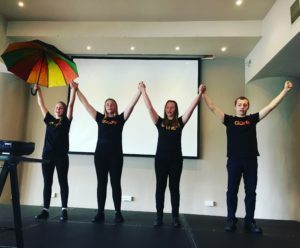 Our Mental Health Association volunteers genuinely reflect the communities they serve drawing members from mental health professions, people with lived experience, family members and friends, educators and local community leaders. All activities at a local level are delivered by our volunteers supported by our area Development Officers. We have 20 members of staff across a number of functions. At Head office Mental Health Ireland has a staff team of ten with a further nine Area Development Officers located throughout Ireland. We perform a sign posting function for people looking for support for themselves or a loved one. Our information service receives thousands of calls per year with varying requests for contact details for support organisations, mental health and wellbeing information and training enquiries. The requests come in via email, phone and social media and are handled by head office staff who have been trained to do so. We offer training workshops called Mind Your Mental Health on a half and full day basis. 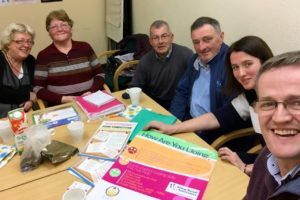 These training courses are available free of charge to community groups across Ireland, delivered by our Area Development Team. There is a charge for businesses. The training is delivered via our Area Development Officers and Training Team. We deliver a number of programmes which promote positive mental health in community, schools and business settings. Music in Mind: Music in Mind has become a strong partnership programme between the National Concert Hall and Mental health Ireland. The programme forms a core element of the National Concert Halls outreach provision and is clearly embedded into both partners’ strategic plans. Following cycle 1 the programme was evaluated. The evaluation highlighted that the programme had extremely positive benefits on the mental health and wellbeing of its participants. This was verified through the increase in participant scores between pre and post Warwick-Edinburgh Mental Wellbeing Scale (WEMWBS), and by the expressed impact on participants of the programme on key skills, emotions, learnings, participation in team work and overall extremely high levels of satisfaction. Woodlands for Health is another partnership that we are very excited about. It is a prescribed woodland walking course for people attending the mental health services in Ireland. The programme is designed to promote physical activity and community connection. This is a partnership between, the Wicklow HSE Mental Health Service, Coillte and Mental Health Ireland. At Mental Health Ireland we too recognise the value of education. In 2014, we established a Scholarship to support people with personal experience of mental health difficulties, family members and people with limited means, who are interested in community mental health activism, to access education and training. Up to 50% of course fees can be supported for applicants requiring support. 2016 saw the rollout of the Mental Health in The Community Certificate Programme in Dublin, Cork and Tralee. In 2016 MHI provided 43 bursaries totaling €21,150 to students undertaking this UCC/ Mental Health Ireland Programme. Our Smiley Pancake Campaign is in its third year. In 2018 Pancake Tuesday falls on the 13th February and I think it’s safe to say, everyone enjoys a pancake on Pancake Tuesday in Ireland! 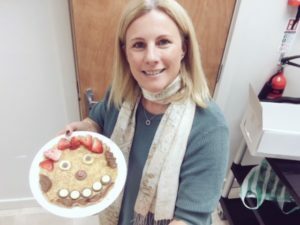 The Smiley Pancake Campaign is a fabulous event that can be enjoyed by people on their own, families, workplaces, schools and community groups. It’s really simple, pop a smile on your pancake, take a picture, share it on social media and donate to Mental Health Ireland via text to donate (€4) or into a collection bucket. We have great uptake from schools and businesses and lots of families send their #smileypancake photos into us. The Art and Photography Competition is in its 12th year with entries growing each year. All Post Primary Schools are invited to submit entries from their students in both categories using the theme of mental health and wellbeing. There is great up-take from the schools and huge creativity. The provincial and national winner’s entries in both categories form our MHI calendar for the following year.